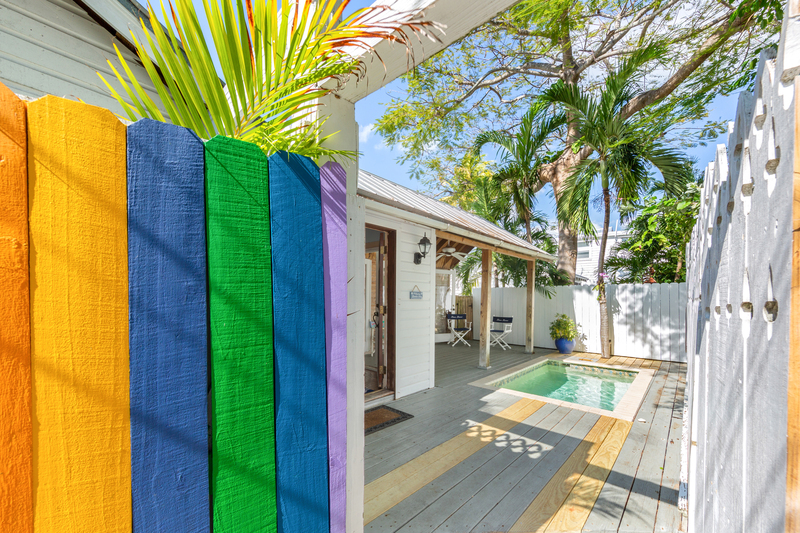 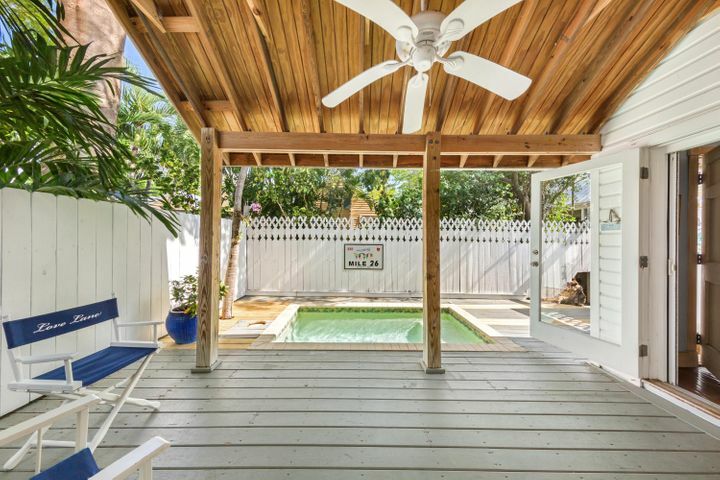 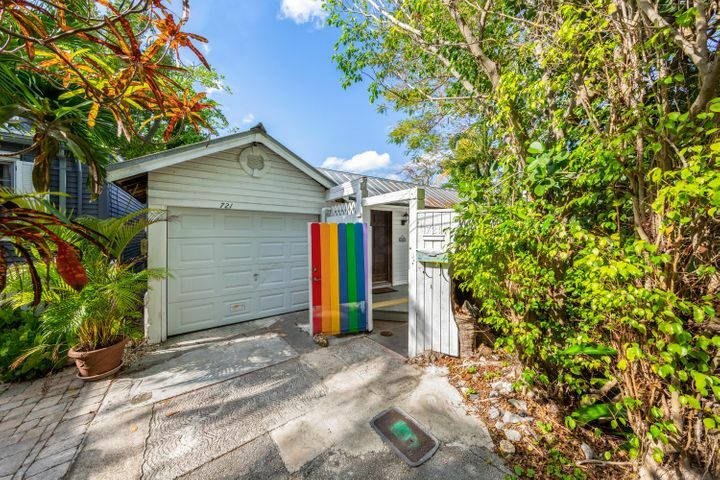 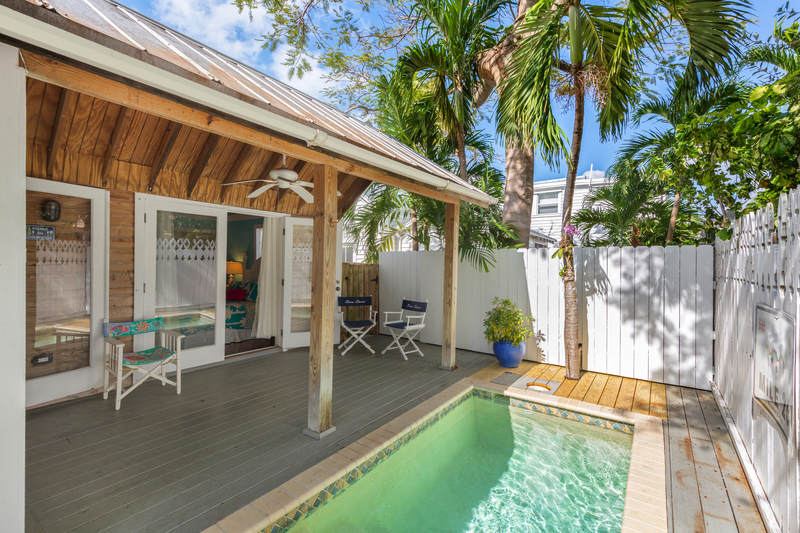 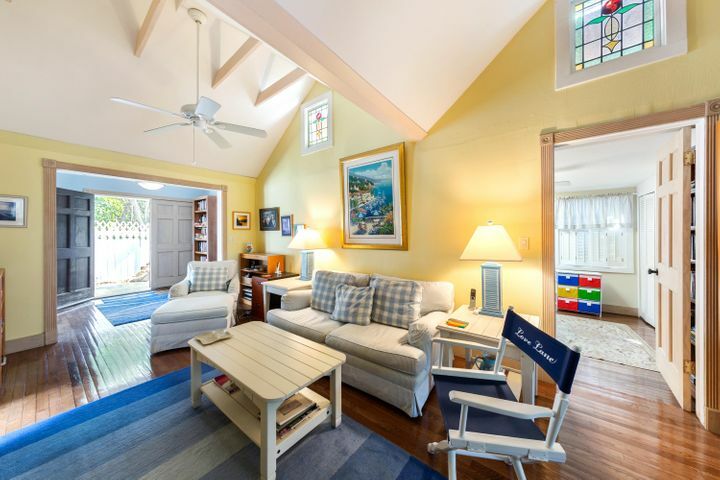 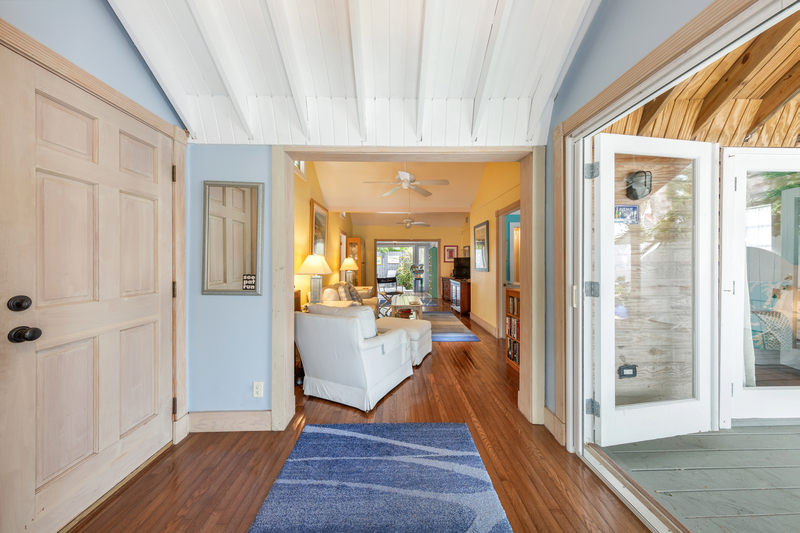 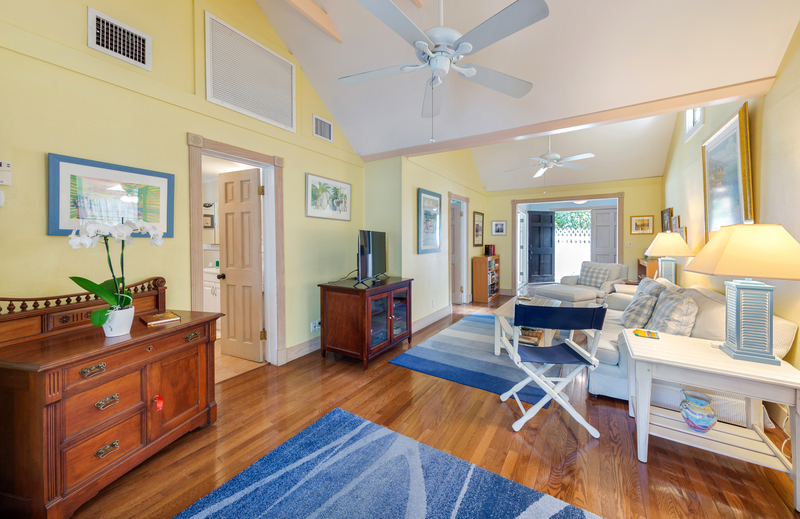 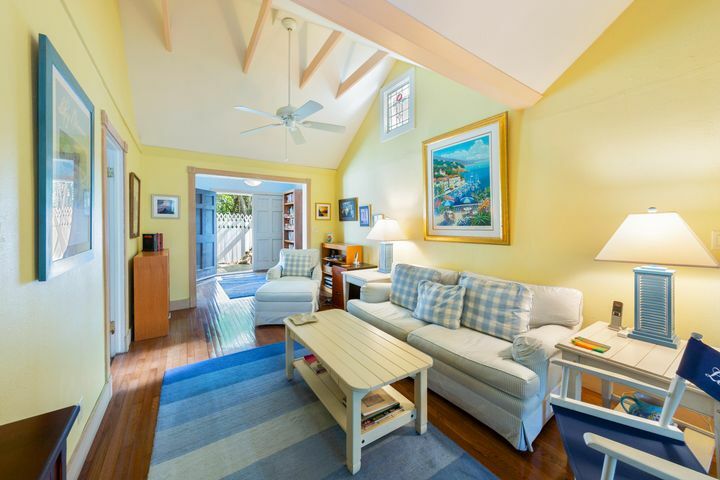 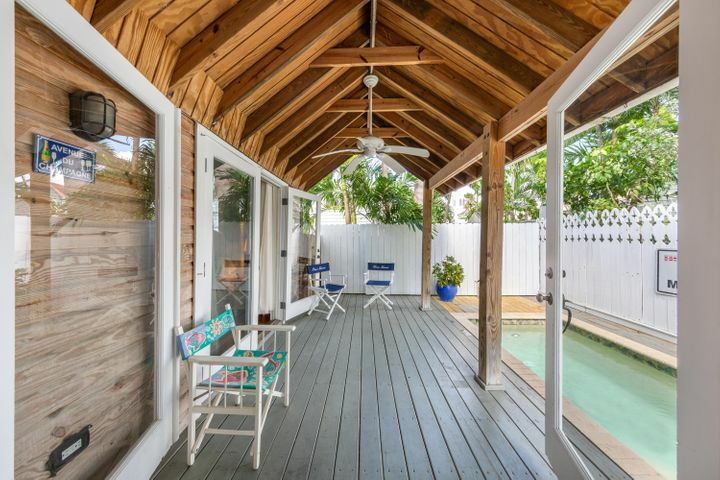 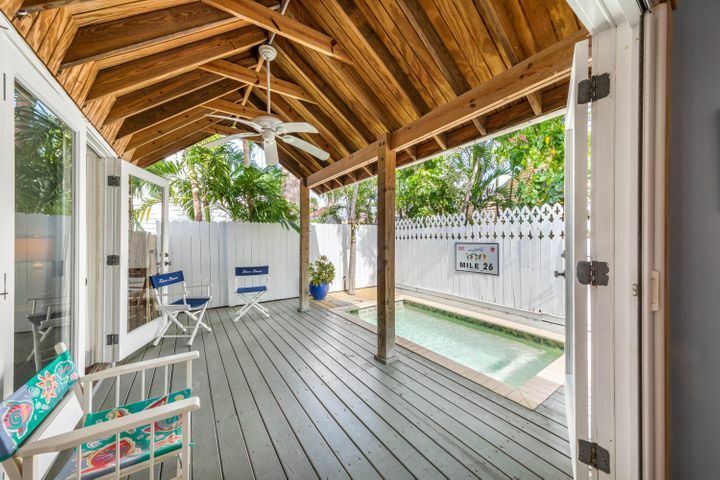 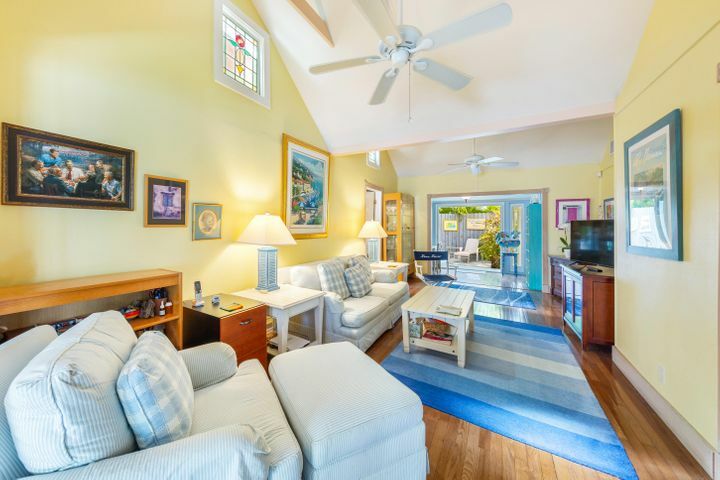 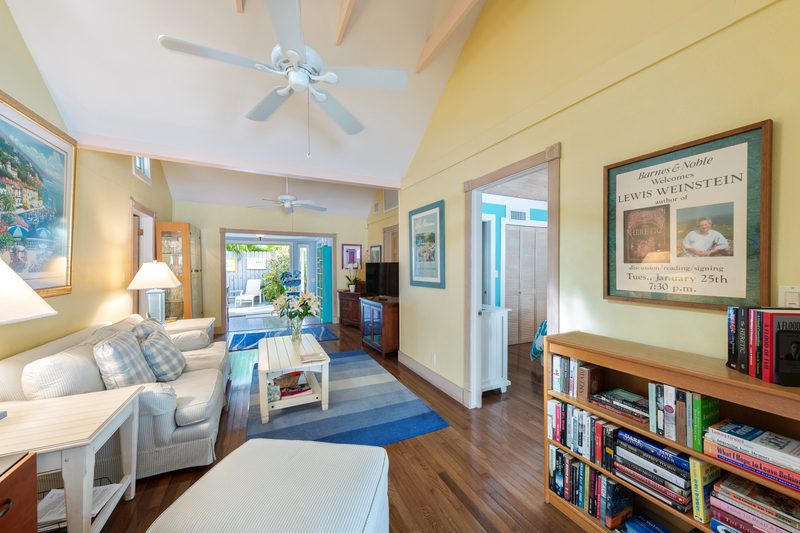 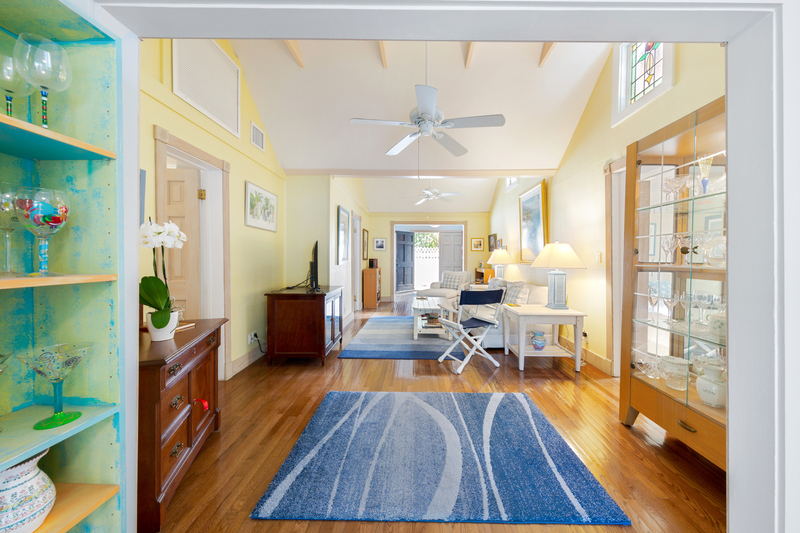 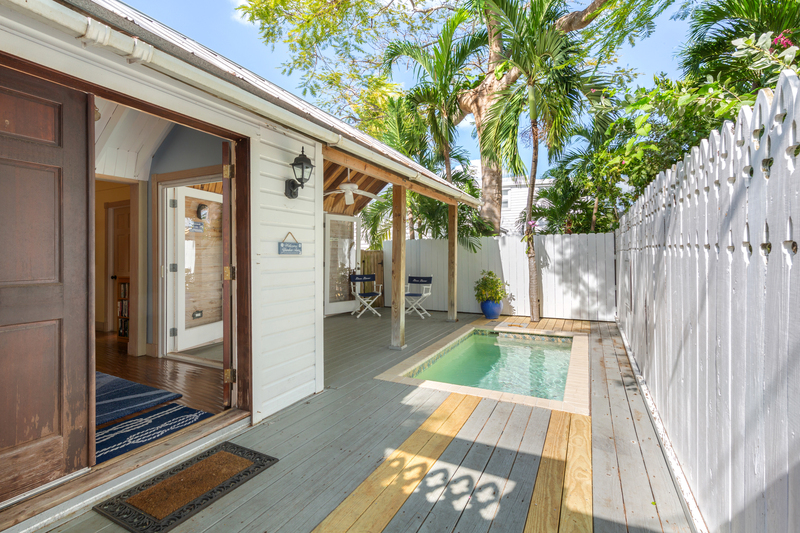 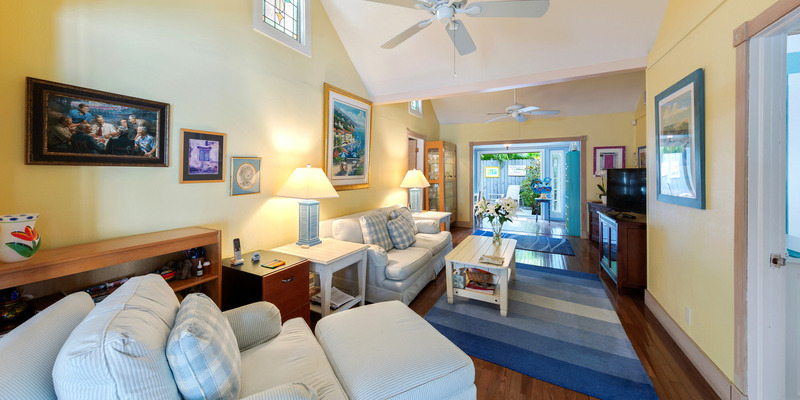 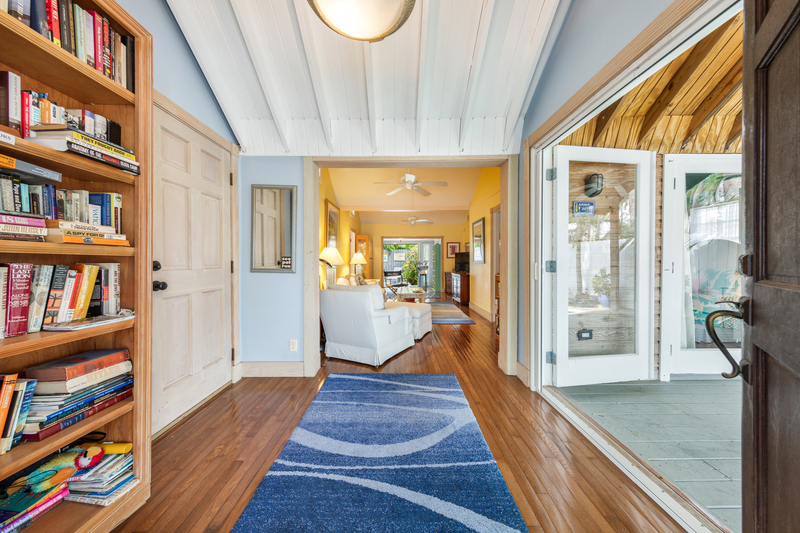 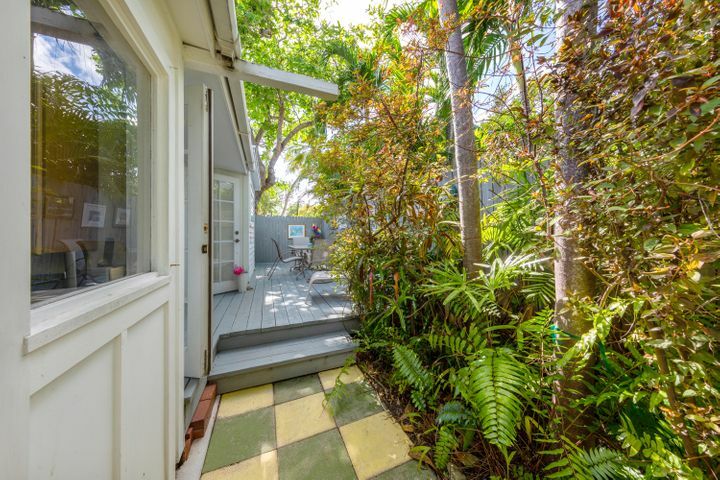 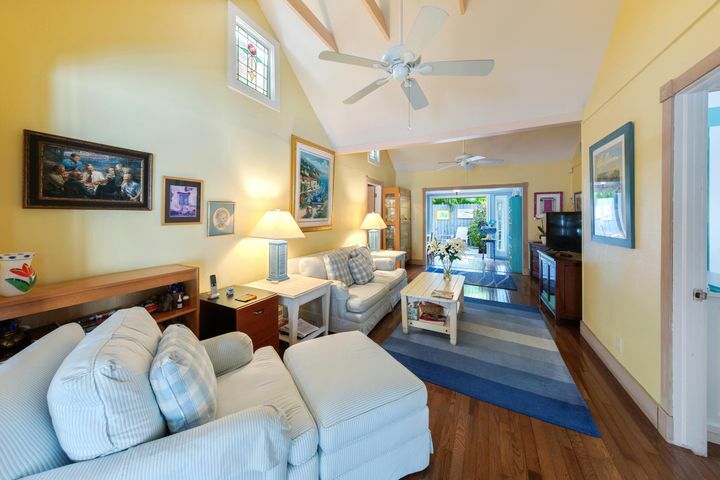 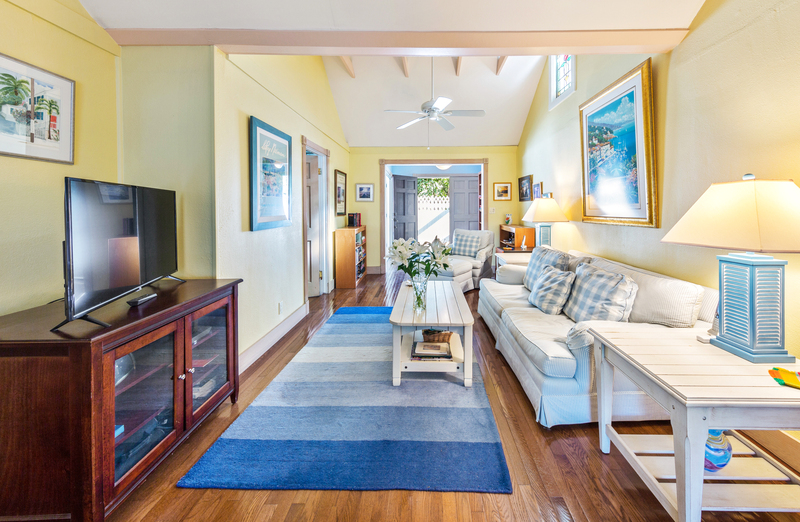 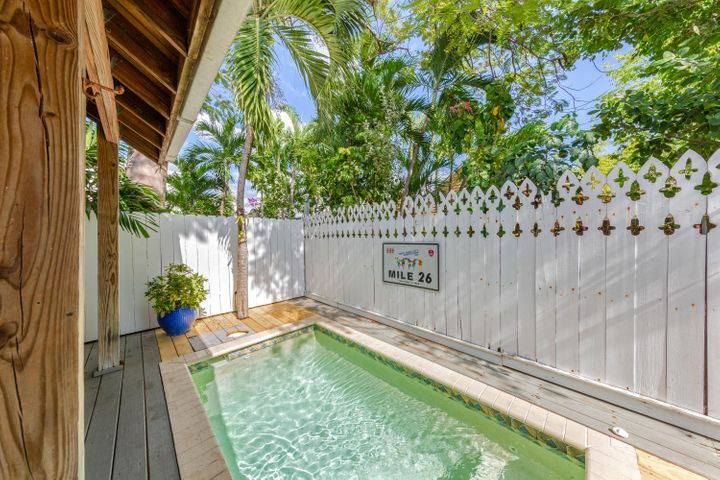 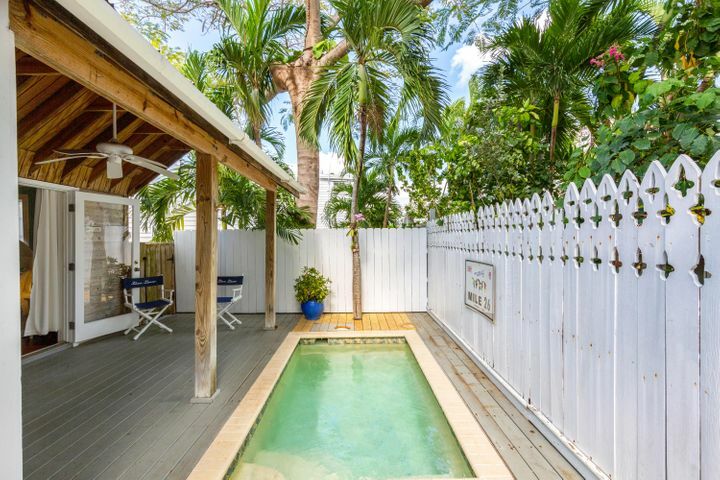 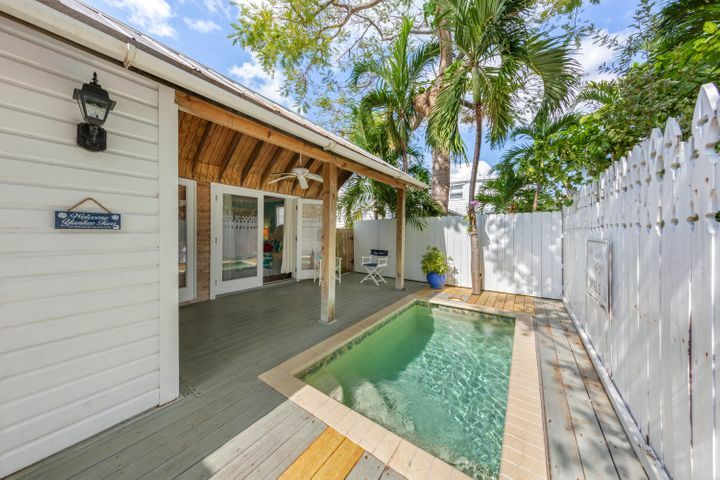 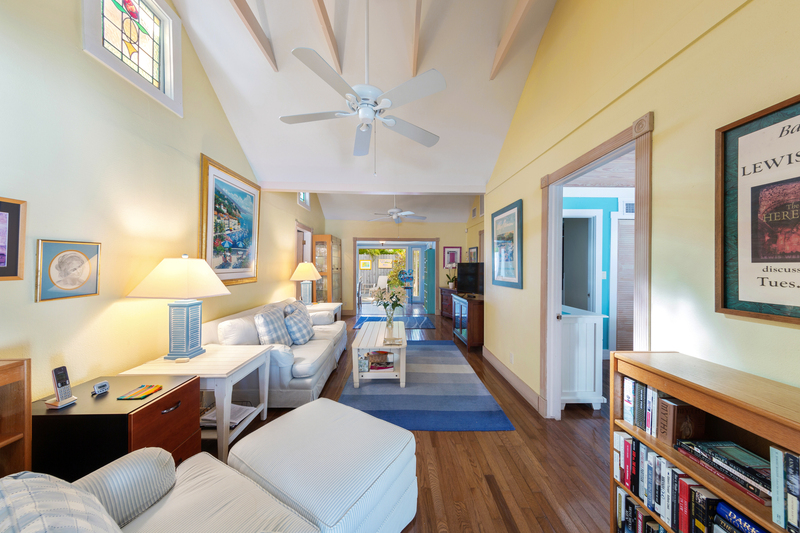 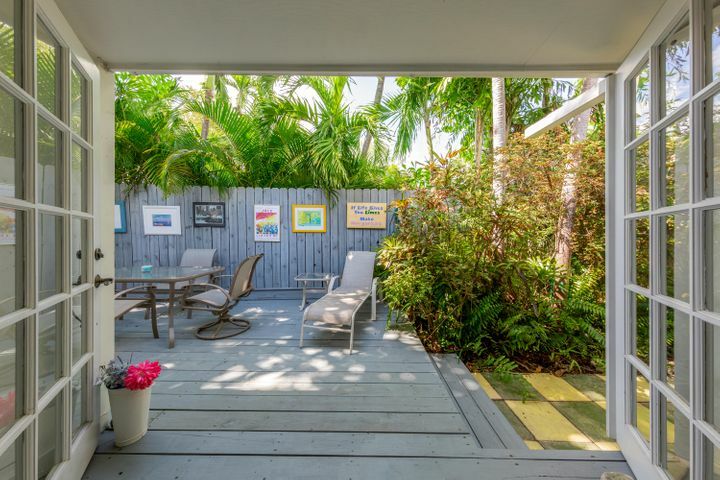 721 Love Lane (MLS #584896) is a rare single level Historic Conch House hidden at the end of beautiful Love Lane in the heart of Old Town, Key West. 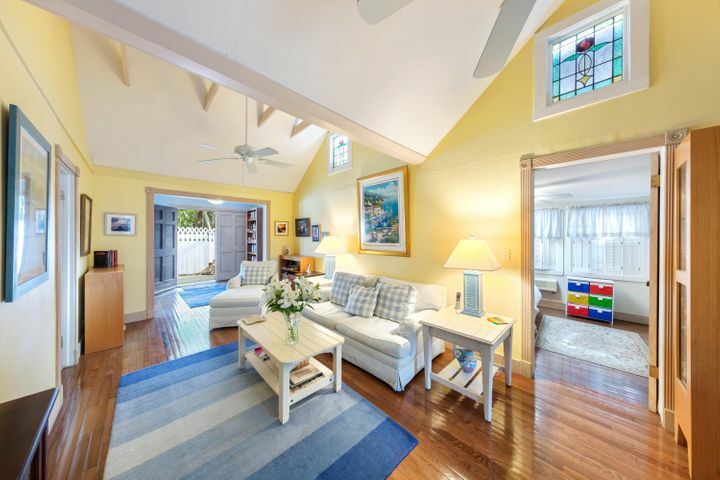 Step inside this X-Flood zone property to discover a 1 car garage, charming cocktail pool and covered front patio that leads into the bright and airy living and dining rooms. 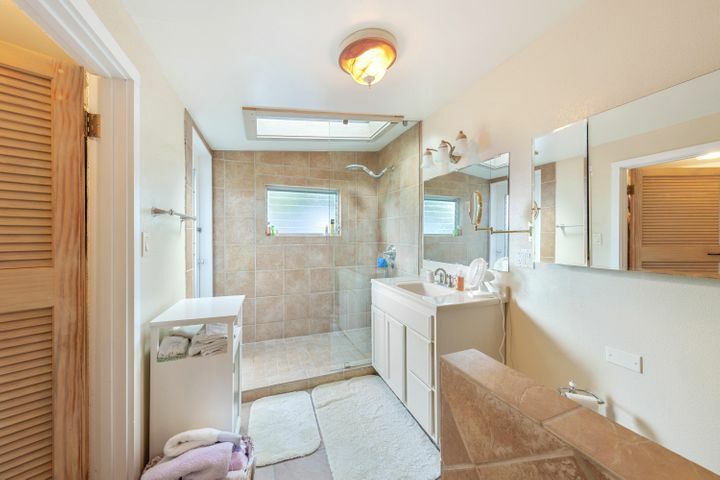 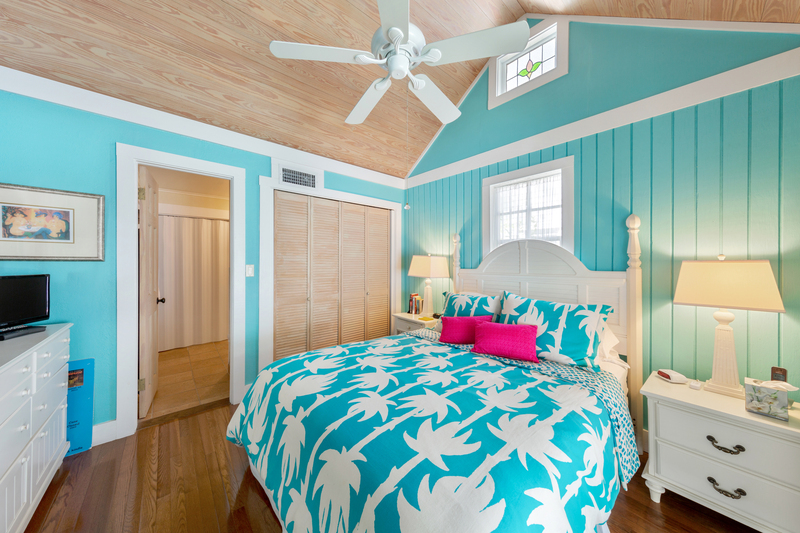 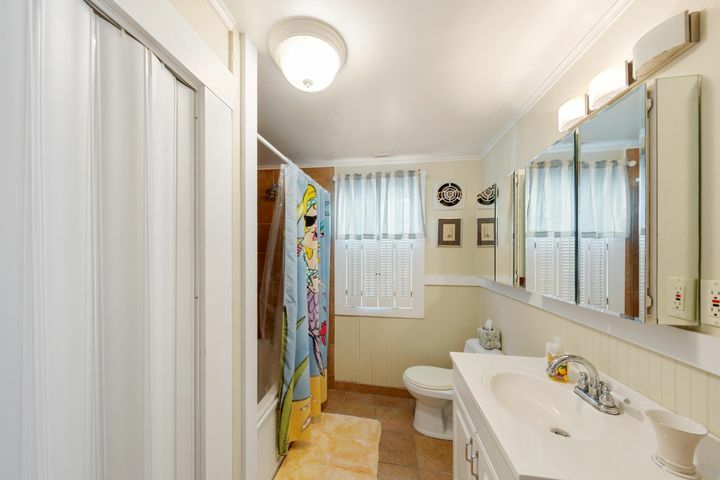 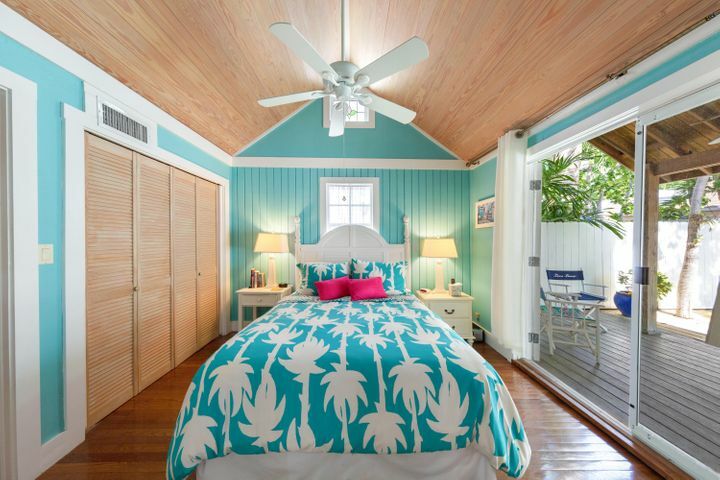 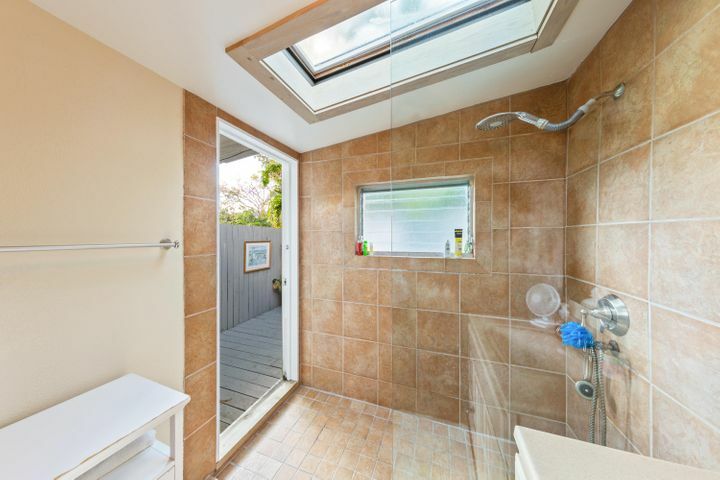 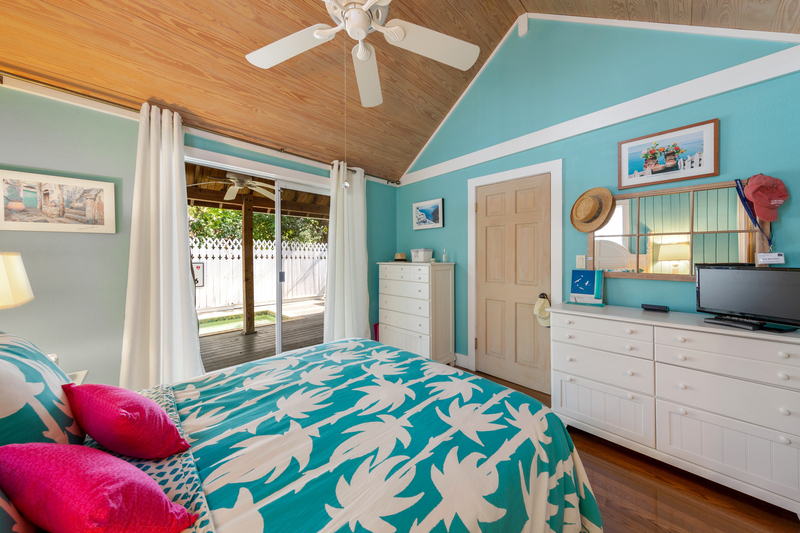 The Master Bedroom has a large En Suite bathroom and lovely views of the pool and front yard. 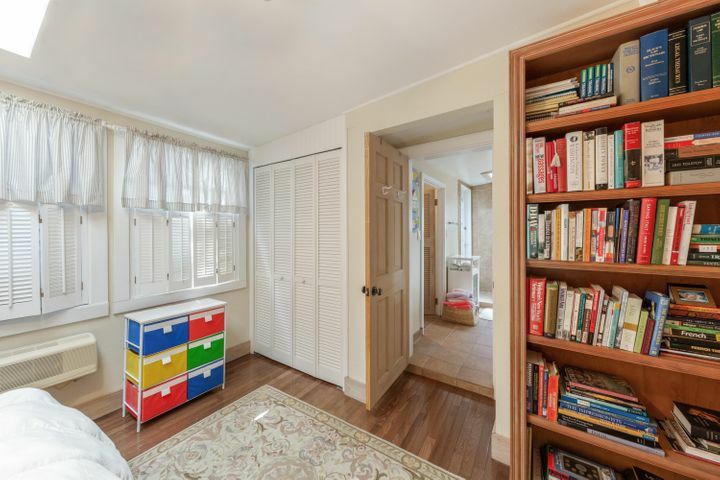 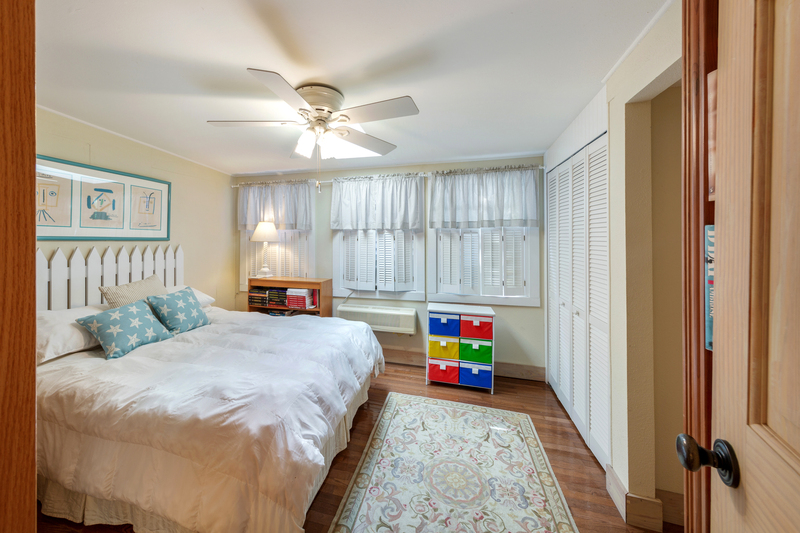 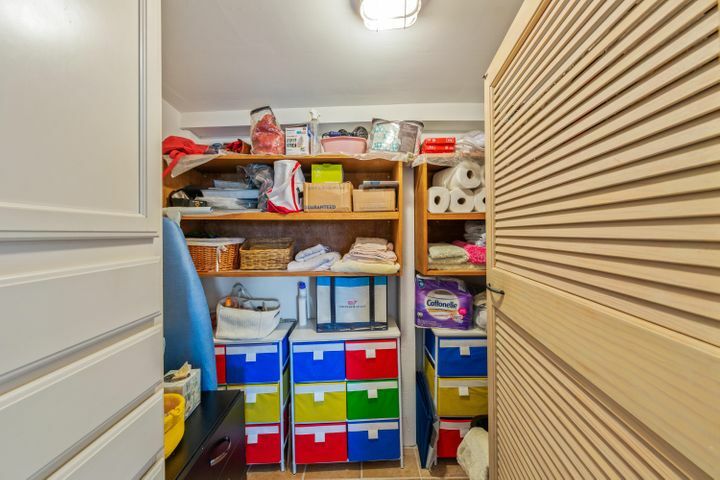 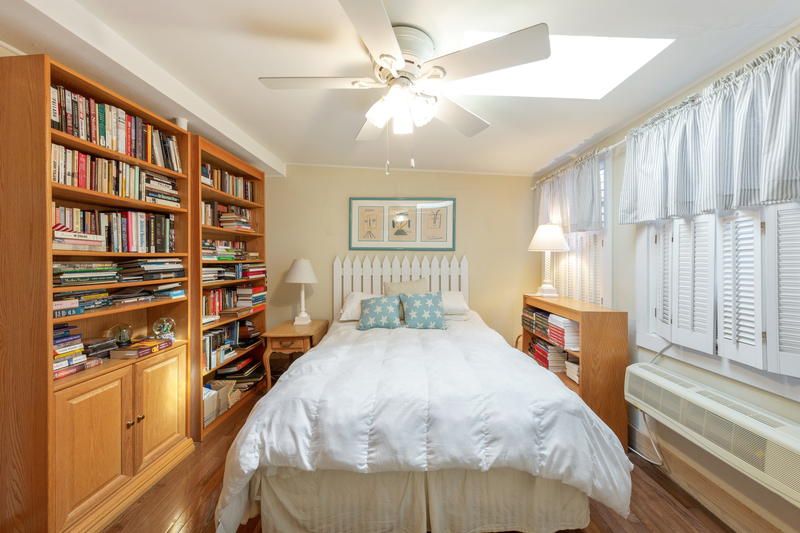 Opposite the Master is a well sized guest bedroom with an En Suite bathroom. 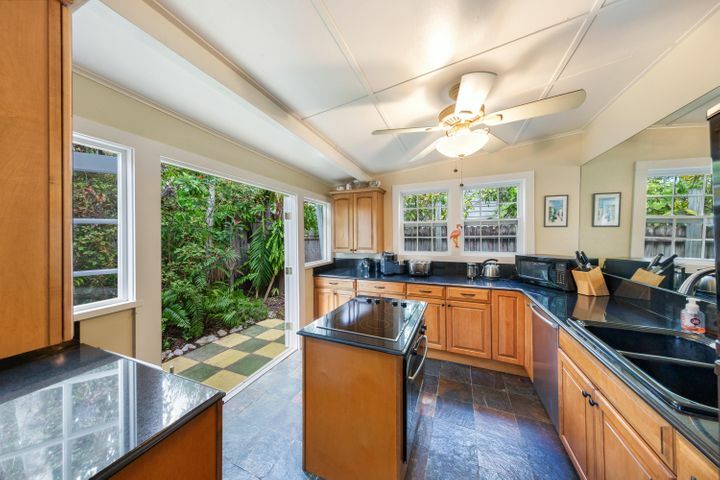 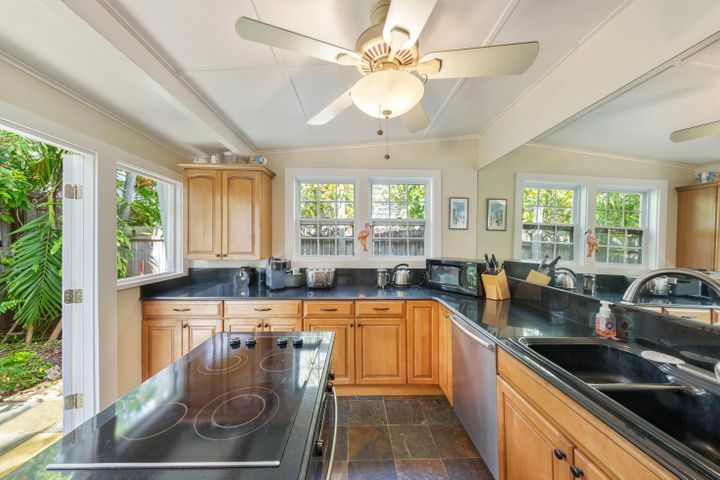 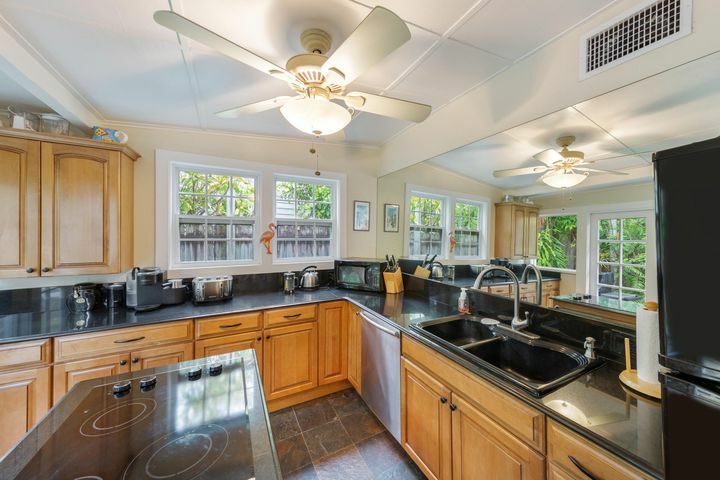 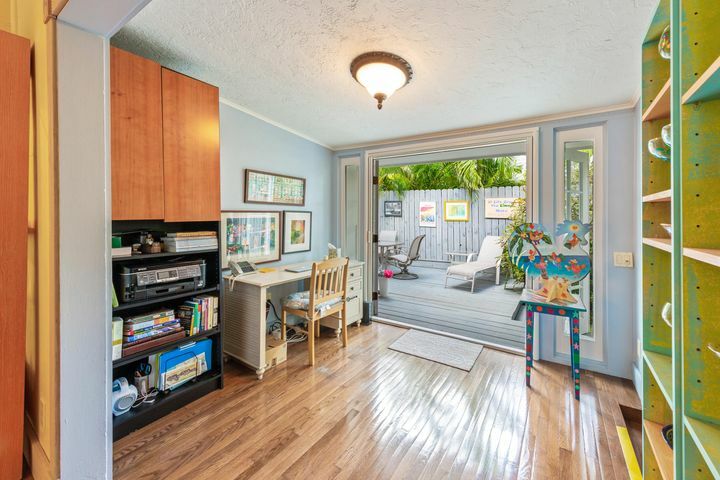 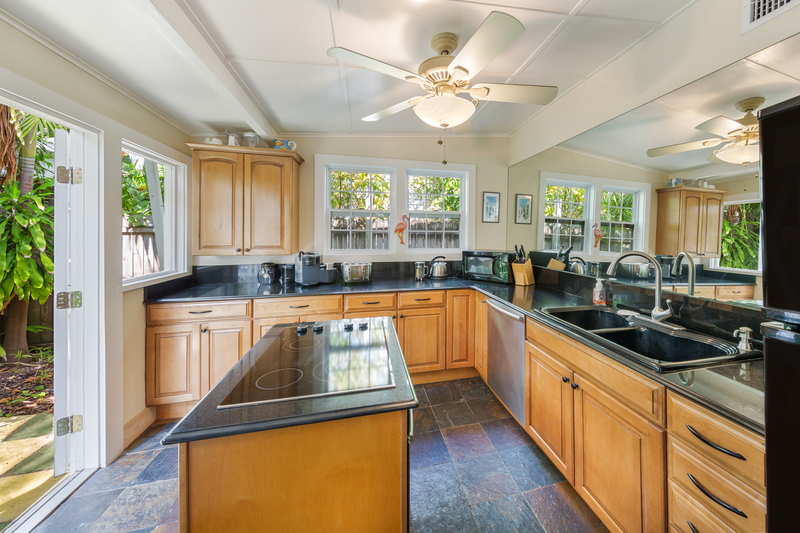 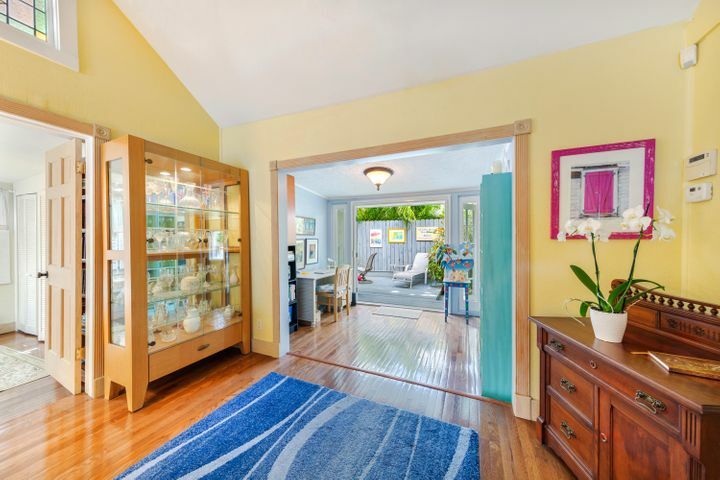 A large kitchen opens to the rear patio perfect for outdoor dining and grilling. 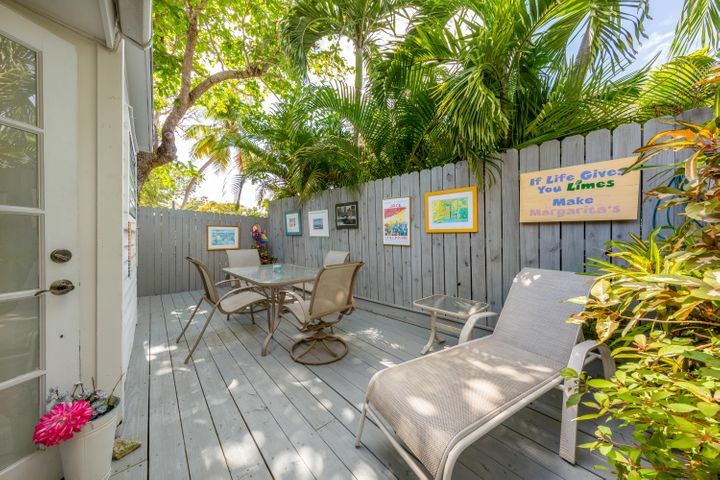 This is a great opportunity to become a part of Key West history with this Old Town charmer on one of the best lanes on the island!